Prepping for the November budget! 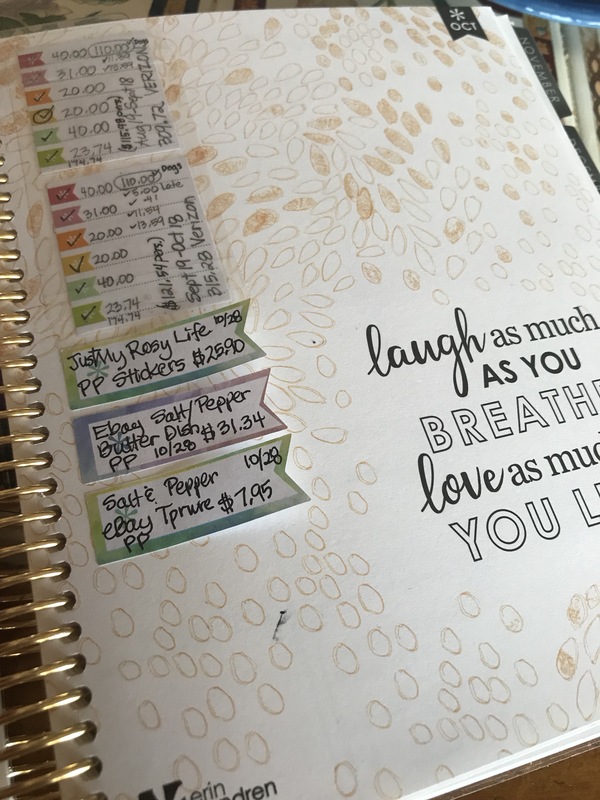 I’m trying it in my regular planner on this page before the month. Each column is 7 days with the last one being a few days more. The known expenses are written in. The other spending will be listed as it happens. I penciled things in for October about midway through the month. I then color coded each category and plan to add up the totals in the bottom box. I used the quote page for misc notes. 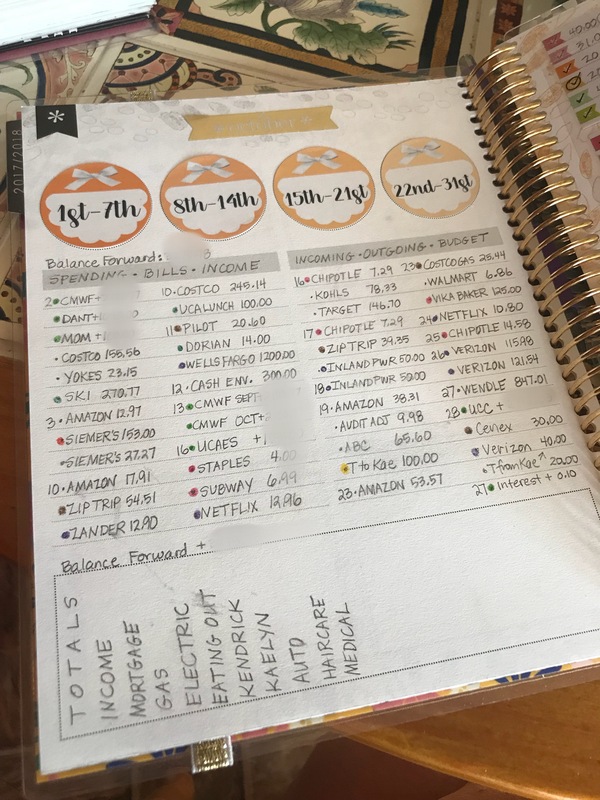 For October that included a breakdown of the Verizon bill and what each family member owed plus a few page flags for PP and eBay spending which doesn’t come out of the checking account but my PP balance instead. Ive learned that several months later, when it only has the merchant name, I have no idea what I bought! 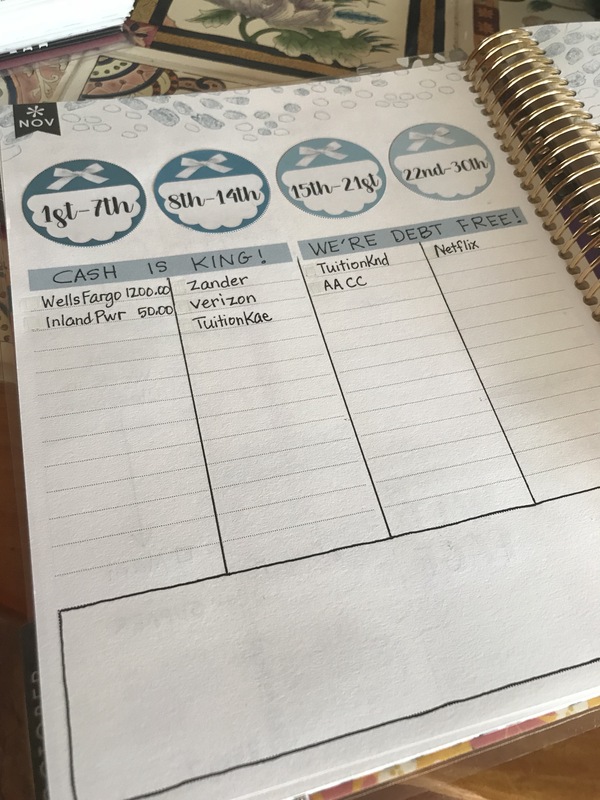 I really want his to work because I already have a food planner plus a home/business planner that I actively maintain, and while I love the Deluxe Monthly budget setups I’ve seen on YouTube, I just can’t take on a whole different planner just for money. Plus, money happens daily so putting it into my daily planner just makes sense to me.